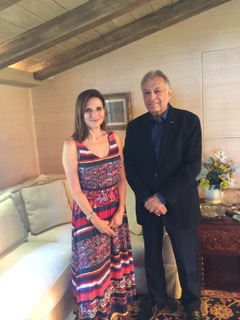 In an exclusive interview with journalist Elaine Lipworth, the renowned conductor Zubin Mehta sits down at his home in LA to talk about what it means to lead a fulfilling life, sharing his words of wisdom on the Middle East, the Trump Presidency, and questions of thriving and well-being. The Maestro talks with candor, humor and insight about the role of music in transcending boundaries and overcoming prejudice. He also discusses his spiritual approach to life and the mystical power of music.